The Airport where the Cold War Air Museum is located hosted another community event last Saturday. More activities and events attract more visitors and we are happy to see them. Our volunteers rolled out a number of aircraft for viewing. And other aircraft from the CAF were put on display as well. Quite a few aircraft flew in. This demonstration team of RV's showed their skill in formation exercises. The Mi-24 is passing well behind the parked RV's, making it look much smaller than it does up close. 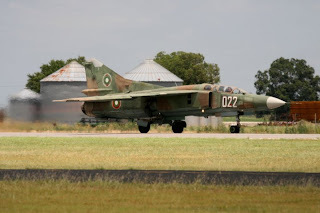 And the MiG-23 was on display as well. 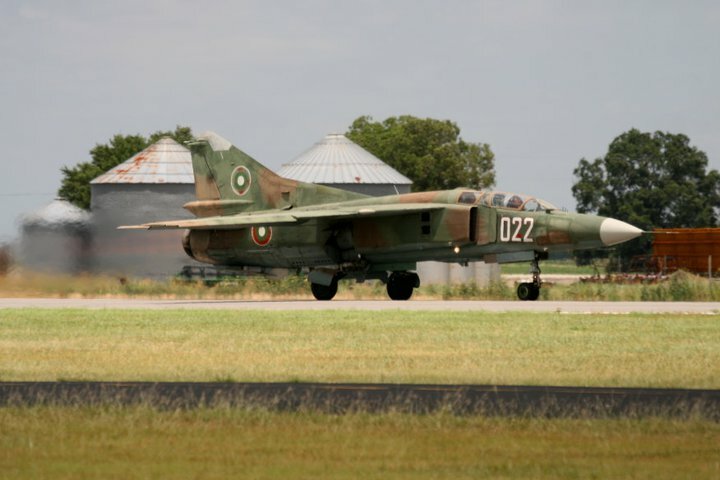 Jon said it was a good day to make MiG noise. And the MiG is very good at making noise. Add fuel - Make noise. Make lots of noise, is good, is normal. Very nice view - not only Jon like MiG noise :-). And really something to love - that You have most planes flying :-) .